Limit pepperoni pizza in your diet if you're watching your weight and reducing fat or sodium. Processed meats such as pepperoni provide little nutritional value and add excess fat, calories and sodium, according to the Cleveland Clinic. 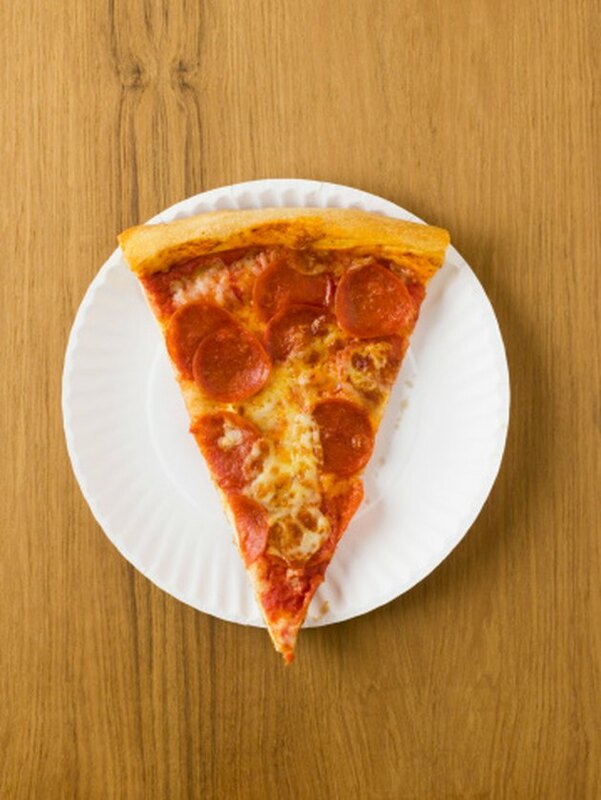 One slice of pepperoni pizza contains 298 calories, according to the website FatSecret. It contains 12.1 g of fat, 5.3 g of which are saturated. It contains 29 mg of cholesterol, 683 mg of sodium and 186 mg of potassium. One slice also has 34 g of carbohydrate, 1.6 g of which is fiber, and 13.3 g of protein. Use low-fat turkey pepperoni to limit calories and sodium. Regular pepperoni has 132 calories per ounce, along with 11.4 g of fat and 507 mg of sodium, according to the website CalorieKing. Turkey pepperoni has 76 calories per ounce, along with 4.3 g of fat. However, it contains 576 mg of sodium. The Cleveland Clinic suggests asking for half the cheese when ordering a pizza. Ask for extra vegetables as well. Some pizza places also offer whole wheat crust, which has more fiber. You can also make your own pizza. Combining whole wheat flour with white flour may improve the texture if you find whole wheat crust too tough. Can a Diabetic Eat Take-Out Pizza?